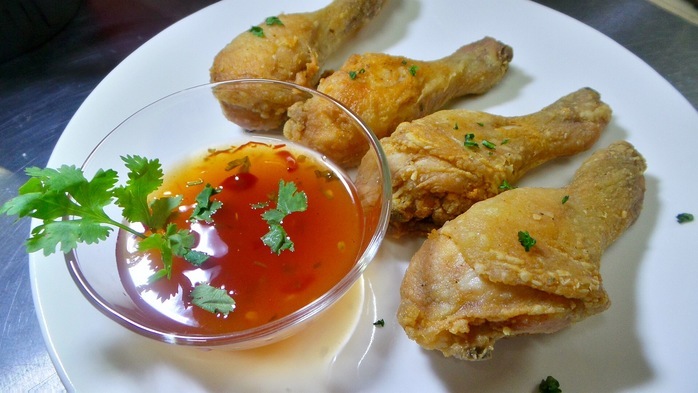 A simple and easy to make Asian sauce. It is usually used for fried chicken. In a sauce pan: simmer the vinegar, sugar, catsup, water (200 ml), fish sauce and chili for 8 mins. In a bowl, make a slurry by mixing the water (30 ml) and cornstarch. Add the lime juice and chopped coriander. Serve and use it as a condiment.